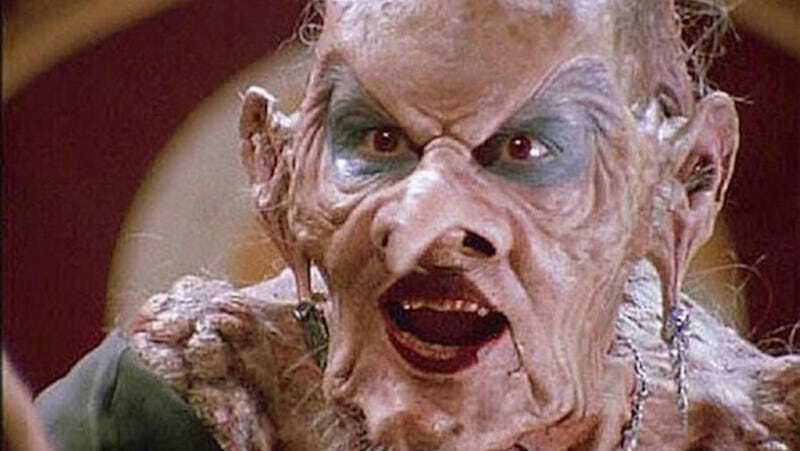 A woman in England has been issued a restraining order after the courts ruled that, just because her neighbor was a grand-high witch who might have cursed her, it didn’t mean she had any right to retaliate by knocking on said witch’s walls at night or throwing golf clubs at her. While it’s unclear exactly what throwing a golf club at a witch would accomplish aside from getting more curses placed upon one’s head, Hilary Joy Osborne, the “victim” in this case, claims she had to do something in order to combat the evil powers of the witch next door. Lynda Brown, the witch in question—a pagan woman who hosts drum circles—claims she has no idea what Osborne’s talking about and told the courts that she hasn’t had a good night’s sleep since Osborne decided she’s been cursed. In fact, Brown is scared for the well-being of the other people that live in her home and claims that she tries to stay out of the house as much as possible rather than deal with Osborne. Osborne ignored police warnings to curb her behaviour and one night the victim and her lodgers were woken by a piercing scream with the defendant shouting “you have people in the walls talking to me, take these curses off me you ****ing witch”. She also claimed her neighbour had cast spells and put voodoo curses on her and repeatedly accused her of practising black witchcraft. In a victim impact statement read to the court, Miss Brown said the defendant’s actions had left her life “a living hell” and had made her house more secure after Osborne threatened to burn it down. She wrote: “I don’t feel safe in my own home and try to be out as much as I can and have also received threats to kill me. “I have disturbed sleep and am on medication to calm me and when I get home late at night I have to text my friends to reassure them I am safe. Man, it’s weird how even a powerful witch like Brown can’t stop a dumb mortal like Osborne from bothering her. Maybe it’s because Brown doesn’t have any powers and is just a gentle woman into practicing an ancient faith that involves drumming? Maybe it’s Goody Osborne herself who’s been dancing with the devil in the pale moonlight? Osborne was ordered to stay away from Brown for the next two years or face imprisonment, and pay fines for court fees and a victim surcharge. Unfortunately, Osborne remains under the impression that the law has failed to protect her. Her lawyer told the courts that her belief that she’s cursed is the result of mental illness.